There is a lot of talk about religion out there. What passes for Christianity in some quarters not only bears no resemblance to the Founder's vision of faith, it is down right immoral. The current crop of right wing religionists in the House of Representatives deny food stamps to the poor in direct contradiction to the Founder's admonition; "Feed My Sheep". (John 21). 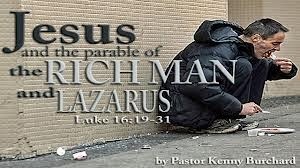 It is fitting that the Gospel for this last Sunday would be the famous story of the rich man and Lazarus. They both died. But the rich man went into Hades (an interesting Greek concept for the afterlife) and Lazarus, the poor man went into the bosom of Abraham where he was comforted and filled with good things. When the rich man begs Lazarus to send someone from the dead to tell us about the consequences of our behavior in this life, Lazarus explains that a great chasm separates the rich from the poor; and Heaven from Hell. And so it does. The great chasm between the rich and the poor is exceeded only by the chasm between the poor who are comforted in the bosom of Abraham and the rich who rest in torment. Read the original if you don't believe me. Let us pray for the rich and the poor in this country that we may find a way to close the chasm to make the salvation of all possible. Read these words carefully. If ever there were a headline for America to read today, this is it! Here is an outline of my current project. I have been invited to give the keynote address at the Diocesan Convention in Montana and then tour the Diocese go give power point presentations on the following material. The Bishop of Montana, Frank Brookhart has encouraged me to write this up. Given my experience in smaller congregations in the Episcopal Church during these past 41 years, I thought it made sense to share a conceptual framework for revitalization in the local congregation. Here is an outline of the work I am doing. I am more than half way through the project, which will be a cross between a book and a manual for church leadership. There are lots of book out on church growth out there. What I hope to do in all this is to participate in the conversation I believe the church needs to have as we consider the challenges facing us. But, what I believe is this; we must begin to think about reversing the decline we are in. Frankly, I believe we have been all too passive in accepting decline as if it were inevitable. I do not think this is necessarily so. There is also a great burst of energy "out there" within the Episcopal Church in particular and within the Progressive and Emerging Church in general for a new optimism. To reverse the decline we are currently experiencing, I believe we need to take stock of and strategize on how we might mobilize the local congregation around three general areas of community life. Organizing the church's life around the needs of real human beings for justice and healing. One on One conversations with communities leaders. How to organize and conduct those conversations. Research and Demographics. The critical importance of doing your homework. Identifying Issues: The act of identifying the issue(s) the congregation will organize its life around. Networking: Identifying allies and those who will challenge the congregation's values. Action Plan: Identifying what the congregation will do about any particular action. Evaluation and making Community Ministry a continuing loop of a congregation's lead mission. This is often called a Stewardship Drive in the Episcopal Church but I am using a word here "membership" as the "marketing" side of Stewardship. In the same way that NPR and PBS run membership drives, so too the church needs to "market" itself to the world and community it finds itself in. 1. Visibility. Every congregation needs to increase its visibility. 2. Greeting. Greeting skills need to be sharpened. 4. Incorporation. The membership team needs to figure out when and how to "pop" the question of formal membership. 5. Apostolic Call. The job is not done when you have a pledge card. Only when each and every member of the congregation has the opportunity to participate in the church's ministry does our work have any sense of completeness. Ongoing then the Membership Team will continue to "manage" the membership roster on a regular basis; no less than once a month. The third part of each presentation will be about the importance of sharing our faith through story. We will consider the importance of small groups; from Adult forums, group spiritual direction, reading groups all the way to altar guilds and choirs and how each group provides and opportunity to tell the story of Jesus and his love for us. The spirituality of a congregation becomes part of the ultimate appeal of a church. The essence of mission and revitalization involves this and much more. But this conceptual framework provides a beginning. Here then is the general outline of what I hope to present to the Diocese of Montana and within my new book. Please do let me know what you think. Not everyone can love gay folks. This is especially true in churches. Most churches want to "fix" them. 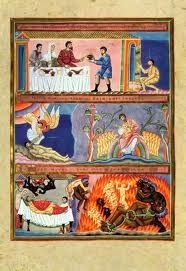 Some go so far as to say they are an "abomination". Others speak of them as if they were "disordered". But in the culture wars we have been fighting for many years now, we have been struggling to love all without regard to sexual orientation, gender, race, ethnicity, class, or language. For the truth of the matter is, neither can everyone can love black folks, foreigners, poor folks, or Spanish speaking people. For Episcopalians and for the Emerging Inclusive Church, we like, Jesus have been struggling to stretch out our arms of love on the hard wood of the cross so that everyone may come within the reach of God's saving embrace. We have now come to the point where we have opened our ministry and membership to LGBT folks as well as straight folks, women as well as men, foreigners as well as White Anglo Saxon Protestants, Spanish speaking as well as English speaking folks. It has not been easy. In fact, it has caused enormous controversy and schism. But it is as plain as the nose on your face. Jesus stretched out his arms of love on the hard wood of the cross so that everyone may come within the saving reach of his saving embrace. EVERYONE!!! As we seek to be obedient to Jesus we can do nothing less. 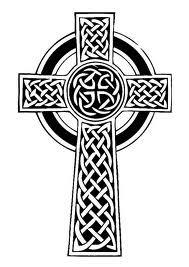 Today and everyday is a day to embrace the Holy Cross as Jesus did. All Aboard the Emerging Church! All Aboard: Everyone is Welcome! For my birthday, I wanted to take the Salem Ferry to Boston and have lunch at Durgin Park. My wife and I did that. It was a fun day. As we gathered at the Dock we anxiously awaited the invitation of the boat staff; "All Aboard"
When I was a child, I loved vacations with the family. I particularly loved seeing those "Episcopal Church Welcomes You" signs wherever we went. Every time I saw one, it was as though God spoke a kind word in my heart. I felt as though God actually welcomed me. I took this whole religion thing very personally. It was for me the ecclesiastical equivalent of the welcome words dockside at a ferry boat; "All Aboard!" But then I discovered along that way that it was going to be a real battle for the church to mean what it said, and to say what it meant. I've been a priest for over 40 years now and what a struggle it has been. There was the business of race for instance. When I went to seminary, we had to do battle for civil rights in this country. I lived and worked in Harlem to try and understand what was wrong with the soul of this country. I discovered that the problem was not in Harlem. It was in White America. I have spent the rest of my life trying to deal with that reality within me and within my church. We are still struggling with that. One of my classmates, previous to me by two years, paid the price of the struggle with his life. 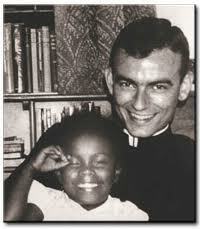 Jonathan Daniels took a bullet for a young black girl in Hayneville, Alabama during the Civil Rights Movement. Now it appears that we have to fight the whole battle all over again as America's signature stain on her shoul rears back it ugliness in so many ways. 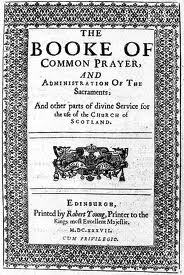 There was the business of our common worship life. We went on to make the Liturgy more accessible to the contemporary world, and this was especially difficult in a church hide bound by tradition. Many, many folks treasured the language of our Elizabethan liturgy and rightly so. It is a treasure. But most of our contemporary world speaks a very different English. And the proof of the pudding is that most of our churches celebrate the Eucharist in the contemporary idiom, while still reserving the traditional mass for the early service in most places. It is an accommodation that makes good sense. Still we lost many to schism during this difficult period. Then there was the business of gender. It became clear, in fact it became obvious to most of us that there really should be no distinction between us based on gender. In fact Paul made it clear that when we are in Christ we are a new creation and that "there is no longer Jew or Greek, male or female, slave or free" ~Galatians 3:28. This notion, as obvious and clear as it now seems, was a matter of great controversy to the church and again many left for more traditional congregations and denominations. 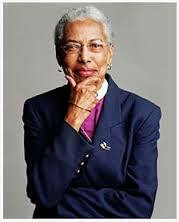 When we elected our first woman bishop, Barbara Harris, it was just the icing on the cake for many, many more, and even to this day, many in the Anglican Communion still refuse a place at the altar for women. And now more recently there is the matter of sexual orientation. 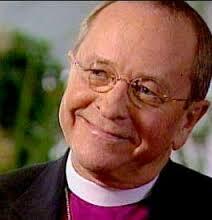 Then on the Feast Day of Pentecost in 2003, the Diocese of New Hampshire elected Gene Robinson as bishop, the first openly gay man to serve in that position anywhere in the Lutheran, Episcopal and Roman Catholic circle of faith. 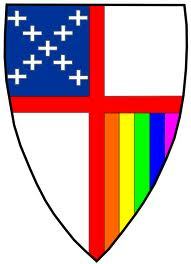 Mind you, there have been many gay folks serving as bishops and priests in all three but not so openly. All hell broke loose as many of you will know. The Anglican Communion was ripped apart in controversy. People threatened to kill Bishop Robinson. In fact he had to wear a bullet proof vest at his consecration. Christians can be hot headed about these things as others can be. It is no wonder to me why so many turn away from "organized religion". But we held to our position that the church is called to be inclusive. We believe that when Jesus was among us, he went out of his way to include folks who had been specifically excluded from the Temple Precincts. Excluded were Prostitutes, Tax Collectors, The Blind, The Maimed, Poor Beggars, and just plain fisherfolk. Eunuchs were also specifically excluded but Jesus specifically included them. You will no doubt remember that it was exactly to this crowd that Jesus reached out his loving arms. This got Jesus into lots of trouble. What sealed his fate then was his "Triumphal Entry into Jerusalem". He entered the Temple Precincts, saw the moneychangers and dealers in pigeons. In a rare demonstration of rage, he overturned their tables and said "My house shall be called a House of Prayer for ALL people, but you have made it a den of robbers." In a few short days he hung upon a cross reaching out his arms of Love upon the cross so that everyone might come within the reach of his saving embrace. So why is this concept so difficult for so many Christians to understand? Why do Christians erect barriers along definitions of race, ethnicity, gender, class and orientation? Obviously there is much fear still of those who differ from "us" whoever we happen to be. But it is my birthday. I have worked a lifetime on all of the above issues. 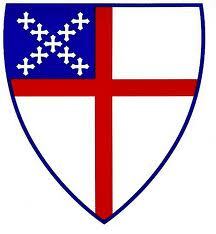 I was born into this church; the Episcopal Church, and I feel blessed on my birthday to have been born into it. We are becoming a "House of Prayer for ALL People". I am grateful too that there is an emerging church that no longer adheres to strict denominational lines but along the lines of Christ's all encompassing love of everyone. It makes for a very Happy Birthday indeed. It is fitting that on the fiftieth anniversary of the March on Washington and on Labor Day we take a moment to remember and reflect. The "Occupy Movement is still brewing beneath our feet. Moral Mondays are part of our cultural fabric. Food Service Workers demand a minimum wage of $15 per hour. 1. Full Employment Now. 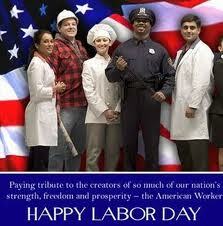 Jobs and Job Security should be the basic plank of the social contract on which our nation is built. No one need fear loose income, loss of health care, loss of home, loss of ability to pay bills. EVERYONE WORKS. If we can bail the big financial institutions over a weekend because they are too big to fail, so then we can bail the American family when times get tough. In other words, the Unemployment Bureau should be called the Employment Bureau. Unemployment Insurance should be called Employment Insurance. Our task is to set one another at tasks that satisfy and please us and meet the needs of our fellow citizens. Our work must be honored and we must be paid according to the honor in which we hold one another. 2. Minimum Wage at least $15 per hour. Corporate greed has gotten way out of hand. The working people and middle class of this country has taken a very hard hit. Our good paying jobs have been sent overseas, leaving us with jobs primarily in the retail and service sector. Walmart and McDonalds feel as though they can exploit the worker with part-time jobs and circumvent the Affordable Care Act (Obamacare). 3. Universal Single Payer Health Care. We will settle for Obamacare for now, but we should simply extend Medicare to all American Citizens just like Senator Bernie Sanders has suggested. 4. A Moratorium on Foreclosures until all Americans who wish to work are working. 5. Three weeks paid vacation for all after two years at work. Two weeks up until then. 6. Quit picking on gay folks and other minorities. Knock off the racism, sexism and classism. We are all one country. The great American Eagle cannot fly let alone soar unless we're all pulling together. In the meantime, let's keep up the pressure. 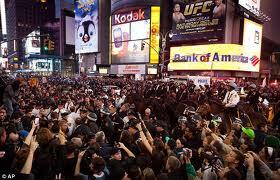 The Occupy Movement is still percolating underneath our feet. Moral Mondays are now a regular feature of our retail and food service workers. Let's consider the occasional one day "General Strike" perhaps on Moral Mondays just to remind everyone that their cup of morning joe may cost a bit more until all of us get a share of the wealth that this country has amassed. Lets consider a Big General Strike on Black Friday and other big shopping days. Lets flex the muscle of the American Worker until Corporations begin to get the point. Fair wages and benefit must be built into the fabric of our common life and become the fundamental plank on which we build the social compact. By the way this is all happening before our very eyes. Whether spontaneously or with careful planning and organizing, it is all happening before our very eyes. The American Worker is regaining his/her strength.